PI continues to grow with the announcement of this new position. PI (Physik Instrumente) L.P., a leader and solution provider in motion control and positioning components and systems, has promoted Dave Rego to Director of Sales for the US Eastern Region. Rego, who holds a BS in Mechanical Engineering, a BA in German from the University of Rhode Island, and an MBA from Babson College, has been handling PI's key industrial accounts on the East Coast for several years and brings a substantial and knowledgeable background in precision motion technology, leadership, and project management skills. 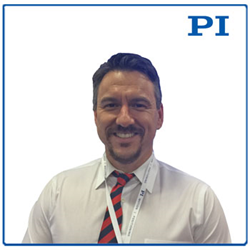 His experience gained in 15 years with PI USA will be beneficial in leading, managing, and training the company's East coast sales engineering organization with the goal to grow the company and further develop customer relationships.